Episode 7: To Have Children or Not? Episode 11: Perpetrators: Does Remaining Silent About Abuse Protect the Victims or the Perpetrators? Episode 12: Cancer: What’s it Like Living With Cancer and How Can We Best Support People Who Have Been Diagnosed With Cancer? How Have Intimate Relationships Changed Over the Years, and Where Does It Leave Us Now? What is Depression and How Can We Manage It? Isolation & Loneliness: Which One Is More Damaging to Our Long-term Health? 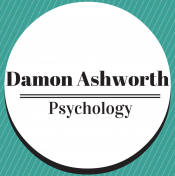 Damon Ashworth Psychology, Blog at WordPress.com.